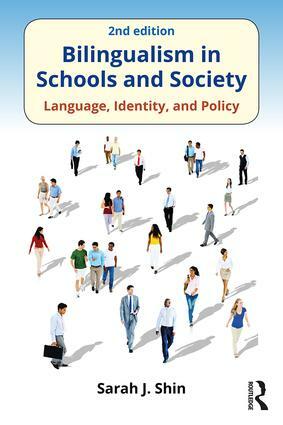 This revised edition of Bilingualism in Schools and Society is an accessible introduction to the sociolinguistic and educational aspects of and the political issues surrounding bilingualism, including code-switching in popular music, advertising, and online social spaces. It also addresses the personal aspect of the topic in a well-informed discussion of what it means to study and live with multiple languages in a globalized world and practical advice on raising bilingual children. Extensive new material has been added that deals with more holistic understandings of bilingual performance, including translanguaging, flexible bilingualism, and code-meshing; blending standard and vernacular languages/dialects in hybrid texts; and recent developments in policies surrounding the education of English Learners and EL assessment, including Common Core State Standards (CCSS), PARCC and SBAC testing, WIDA and ELPA21 language assessments, and Every Student Succeeds Act (ESSA). Updated and new discussions on community-based heritage language programs and 'super-diversity' further enhance this new edition, along with updated statistics on bilingual populations and the world's top languages. Each chapter includes lists of further readings, helpful digital resources and study questions, as well as student activities and boxed vignettes. Firmly grounded in the analysis of empirical work with bilingual children and adults in various multilingual settings throughout the world, Bilingualism in Schools and Society is the ideal text for courses on bilingualism in language education programs. "Sarah Shin offers a holistic approach to concepts and issues that will enhance understanding of a very complex term such as bilingualism. Each chapter invites its readers to engage in a dynamic dialogue with newly expanded study questions, up-to-date statistics, and recent developments on bilingual policies. Bilingualism in Schools and Society is a must-read for students, teachers, administrators, policy makers and anyone involved in the area of bilingual education." "Professor Shin’s first volume was a valuable and accessible addition to the growing literature on bilingualism and bilingual education. This second edition is both comprehensive and timely in terms of the breadth and range of topics addressed, including its focus on heritage learners and code switching. It provides an informative and balanced discussion of critical topics in the field. It also dispels common myths about bilinguals and bilingualism at a time when there is increasing interest in dual language education for all students. Professor Shin has succeeded in writing both a valuable introduction to those new to the field and an authoritative resource for more seasoned scholars." Sarah J. Shin is Professor of Education at the University of Maryland, Baltimore County, USA. She serves on the editorial boards of the Journal of Language, Identity, and Education and The International Multilingual Research Journal.